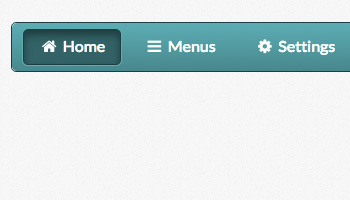 We've got another roundup of free menus for you today and this time we are focusing on the sidebar. The sidebar menu for a website can be a tricky element to master. 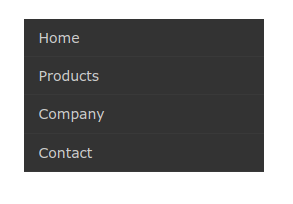 If you have a lot of menu items that you want to display in the sidebar then you need to find a solution like a flyout menu, accordion menu, or vertical menu. 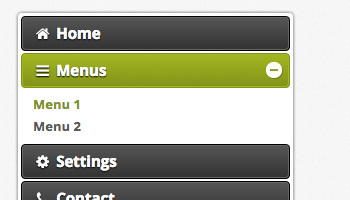 Below we have compiled a list of the best sidebar menu navigation solutions we have. 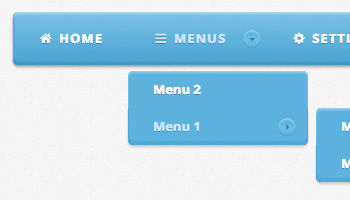 Each of these menus is free for you to download and customize. 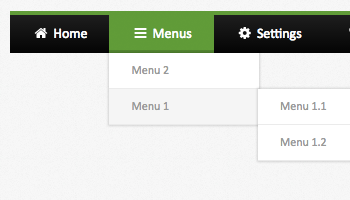 Use our MenuMakers to easily build and customize sidebar menus. 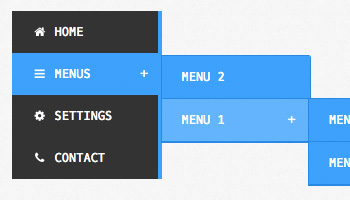 This accordion menu will work perfectly for keeping your sidebar nice and organized. 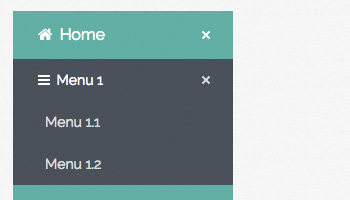 Collapsing menu items allow you to create a very large sidebar menu with minimal space. 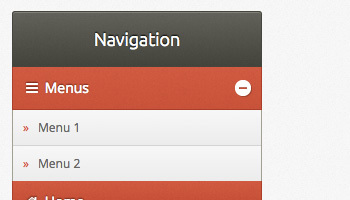 Keep your sidebar navigation nice a clean with this flyout menu. The flat design style makes it easy to customize and implement with any website design. 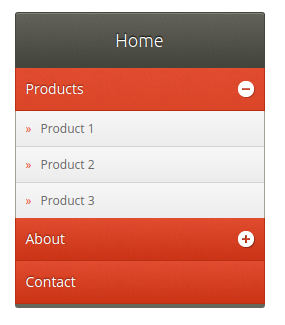 This sidebar menu uses all that jQuery power to create a functional accordion menu design. Easy indications of the menu items numbers are displayed with each parent menu item. 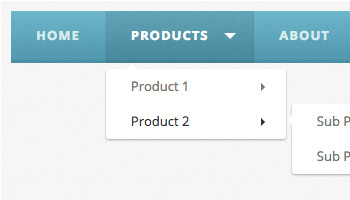 This simple single level sidebar menu help organization your sidebar with minimal effort. Again, we have a simple flat design that is easy to customize and match to your website. 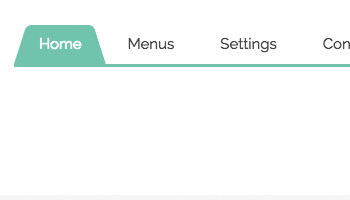 This sidebar menu with spice up and site design. 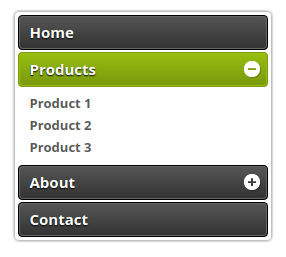 The accordion style jQuery menu turns any sidebar navigation into a simple to use menu. 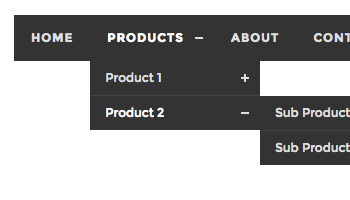 This flyout menu will turn any sidebar into a highly functional website element. This design is meant for a website with a darker background but can be customized to fit almost any design. 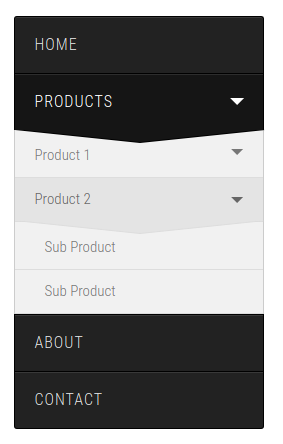 This sidebar menu not only handles your complex, multi-tiered navigation it also has some fancy CSS animation techniques. 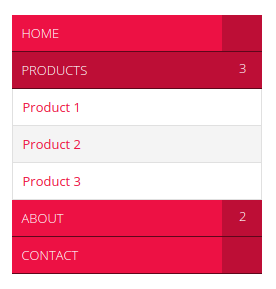 condense your sidebar menu with the flat designed accordion menu.